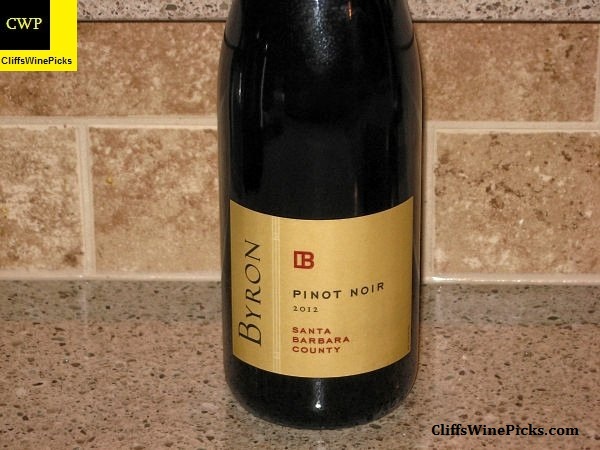 This is another of the non Pinot Noir wines Brian Loring has produced. Thus far, every one has been outstanding. 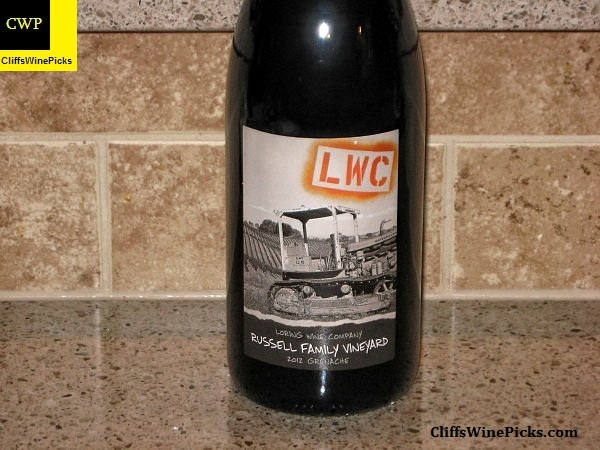 This one is a Grenache from the Russell Family Vineyard in Paso Robles. This has 14.9% alcohol and is sealed with a twist off closure. My name is Brian Loring and my obsession is Pinot Noir. OK, I’m also pretty crazy about Champagne, but that’s another story. While in college, I worked at a wine shop in Hollywood (Victor’s), where one of the owners was a Burgundy fanatic. So, my very first experiences with Pinot Noir were from producers like Domaine Dujac, Henri Jayer, and DRC. Needless to say, I found subsequent tasting safaris into the domestic Pinot Noir jungle less than satisfying. It wasn’t until I literally stumbled into Calera (I tripped over a case of their wine in the store room) that I found a California Pinot Noir that I could love. But it would be quite a while before I found someone else that lived up to the standard that Josh Jensen had established. I eventually came to understand and enjoy Pinots from Williams Selyem, Chalone, and Sanford, but I really got excited about California Pinot Noir when I met Norm Beko from CottonwoodCanyon at an Orange County Wine Society tasting. I’d made about 3 trips around the booths at the tasting without finding a single good Pinot Noir. So, being the open minded person that I am (remember I passed him up 3 times), I stopped at the Cottonwood booth. I was BLOWN away by Norm’s 1990 Santa Maria Pinot Noir. After a few years of attending every Cottonwood event and asking Norm 10,000 questions about winemaking, he offered to let come learn the process during the ’97 crush. I checked sugar levels, picked, crushed, punched down, pressed, filled barrels, and generally moved a bunch of stuff around with fork lifts and pallet jacks! It was the time of my life… I was totally hooked. And even though I hadn’t planned it, I ended up making two barrels of Pinot Noir. That was the start of the Loring Wine Company. What had started out as a dream 15 years earlier was now a reality – I was a winemaker! I was working on my list of my top 10 wines of the year and this wine may find a spot on the list. I remembered I still had a few bottles in the cellar, I decided to open one for Christmas Eve. In 1990, Roman Bratasiuk embarked on a truly remarkable wine making journey. His vision: to create single vineyard wines equal to anything in the world. Quite simply. Working with old, dry-grown vines and performing every step of the process by hand, Roman sought to redefine the Australian fine wine landscape by solely conveying the imprint a vineyard forges on the varietal expression. Every year a pragmatic and calculated Clarendon Hills learns a little more about our vineyards and pushes a little further to propel each one of our 100% varietal wines to the pinacle of their capability. 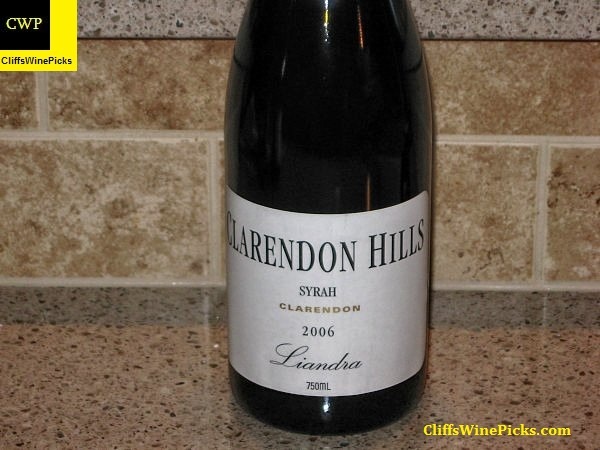 Please join Roman and the Clarendon Hills family in celebrating our 19 single vineyard, 100% varietal wines. We are BIG fans of nicely aged German Rieslings. The sugary sweetness these wines show in their youth melds with the citrusy acidity over the years to form a magical elixir that becomes a rich wine with just enough acidity on the back end to leave you grabbing the glass for another sip. This wine has 8.5% alcohol by volume and was sealed with a natural cork. As is usual for a lot of the smaller, European wineries, not a lot of information seems to be available on the internet. I also can’t find anything on CellarTracker for this winery since the 1995 vintage. This leads me to think it no longer exists. I can recite Jon Rimmerman’s (from Garagiste Wine) silky prose, but I don’t want this to sound like a sales pitch. 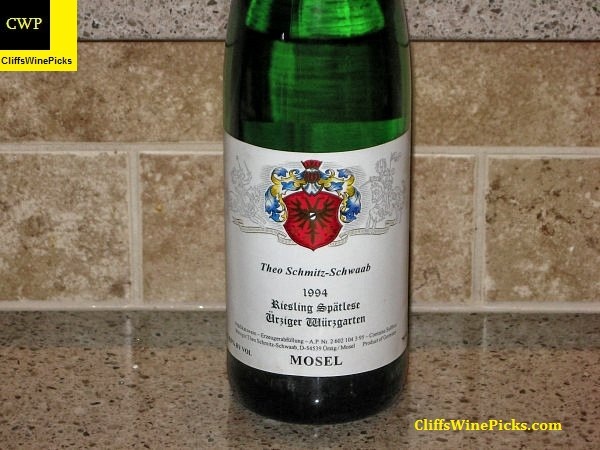 All I will say is, if you like older German Rieslings that have generally been in perfect condition, at really nice prices, check out http://garagiste.com/ and sign up for the list. For Christmas Eve dinner, we made our traditional dinner. This is a recipe from the New Orleans based “The Gumbo Shop”. 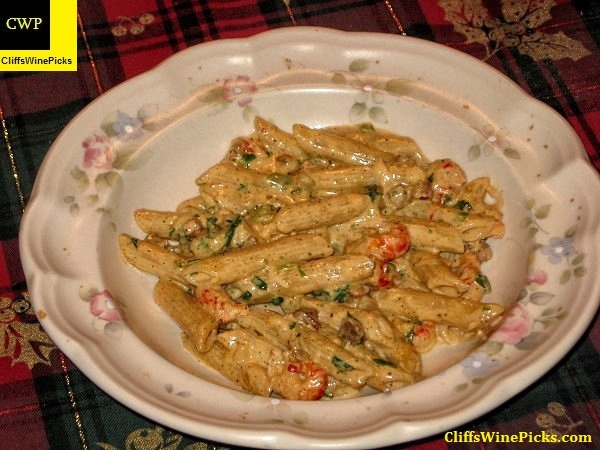 It is called Crawfish and Pasta with Tasso Cream. It is very rich and slightly spicy from Cayenne Pepper. It has been a few years since I had a bottle of Byron wine. When I saw this 2012 Pinot Noir on the local store’s shelf for a touch over $15, I decided it was worth a try. The wine has 13.5% alcohol and the bottle is sealed with a twist off cap. To conserve energy and natural resources, we’ve moved our production to our next door neighbor, Cambria Estate. Within their spacious cellars we’ve been able to reconstruct Byron. We have our own crush pad, our own individual barrel storage rooms and even our prized sorting table. Our focus continues to be high quality, hand-made, small-lot wines from Santa Barbara’s finest vineyards including our Estate Nielson Vineyard. Byron will continue to produce balanced, opulent, and pure wines. More information is available on the winery’s website.